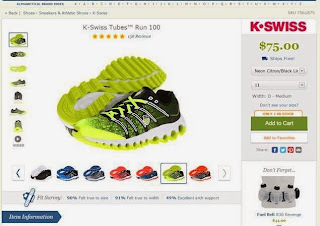 I looked at these shoes on Zappos, an Amazon-owned business. $75. Then I thought to myself, "hey, those shoes are probably available on Amazon." So I visit Amazon. And they are available. $44. Two-day shipping via Amazon Prime. Done! I buy 'em. Fifteen minutes later, I go back out to Amazon to look at the shoes again. This time, the shoes are $69.99. Now, how much do you think you learn when the same pair of shoes cost $44, $69.99, and $75 across two brands, within fifteen minutes of elapsed time? The omnichannel movement is killing us. Killing us. Folks demand that we adhere to the same pricing in all channels at all times, the same creative, blah blah blah blah blah. Meanwhile, the one company that is mulching the competition does the opposite ... dynamic pricing within a brand, different prices across brands. Just remember, it takes a lot of software and management expertise to integrate everything into a big 'ole bowl of omnichannel goodness. Somebody is profiting from all that integration. Do what is right for your customer. If organization-crippling integration is truly what is best for your customer, have at it! Otherwise, pay attention to what folks not fettered by omnichannel alignment are doing. And for crying out loud, think about the impact of low prices vs. the impact of 40% off plus free shipping. Both outcomes get you to the same place, but you sure do end up in a different place, don't you? UPDATE - January 10, 2014 - 8:50am PST: Many of you correctly point out that there are several sellers offering this pair of shoes on Amazon, at vastly different prices. True. This gives Amazon even more data points to observe how pricing elasticity impacts sales. 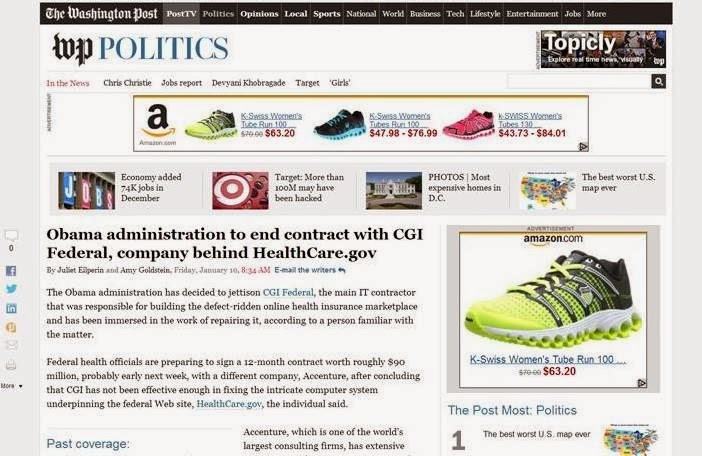 And then we have retargeting ... even though I already purchased the shoes, the retargeting world loves the best practice of showing me the shoes, once again, over and over again, as I traverse the internet ... because there's nothing like reading about health care website contractors to inspire a person to buy shoes. Oh, and look at the price ... lower than most sellers on Amazon. I can't comment on the pricing strategy which is more seller driven, but yeah for re-marketing one could have easily added a negative audience on converted users and thus avoid showing you the ad. This is a very common practice for remarketing campaigns, but yes..doesn't look like so for amazon.